Konnan was billed as Relámpago for some matches during his WWF stint. Konnan is considered to be one of the biggest stars to ever emerge from Lucha Libre. He has competed in WWE (as Max Moon), WCW, ECW, TNA, WWA, XPW and (more or less) anywhere else that is noteworthy. Konnan is partly responsible for the exposure of Lucha Libre in North America, as he headlined the AAA/IWC When Worlds Collide Pay-Per-View, as well as supplied ECW's Paul Heyman with the talent that he requested, and brought many competitors to World Championship Wrestling. As Vampiro was quickly becoming a top star in CMLL, he soon crossed paths with Konnan, who did not take kindly to Vampiro's instant rise to superstardom. In addition, Vampiro was offered a part in a Soap Opera, but the producers of the Soap Opera changed their mind at the last minute after learning that Vampiro's spanish-speaking skills were poor, and went with Konnan; Vampiro believed that Konnan intentially sabotaged his opportunity to extend his superstar status beyond wrestling, due to the fact that Konnan landing the role resulted in Konnan reaching celebrity status in Mexico. Legend has it that at one point, Konnan made death threats to Vampiro and his wife. The feud would carry over to World Championship Wrestling, as Konnan buried Vampiro in meetings with WCW executives as soon as Vampiro arrived in WCW. Konnan fabricated stories of substance abuse, claims that Vampiro was unreliable and claims that Vampiro was not a good worker. It has been said that Juventud Guerrera and a few more luchadores also participated in burying Vampiro as well. Between the end of 1999 and the beginning of 2000, Vampiro and Konnan resolved their differences and have been civil ever since. 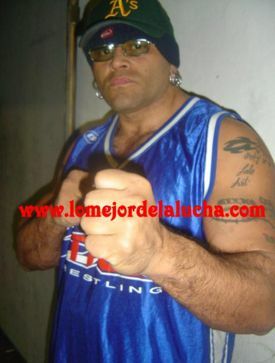 Konnan is not only a huge name in Lucha Libra, but also in Mexican culture, as he has appeared on Soap Operas and TV shows in Mexico. Mike Tenay was quoted on When Worlds Collide as stating that, "Whenever Konnan appears on TV, everyone stops what they are doing and focuses on whatever television that is around. Waitresses in restaurants will stop what they are doing and watch whatever program that Konnan appears on." Konnan also records Rap music in his spare time, as his music videos have been featured on WCW programming. Konnan also has his music available on his MySpace. This page was last edited on 7 October 2018, at 07:57.